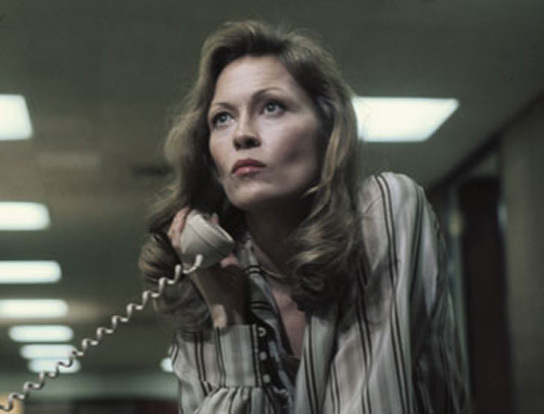 Possibly the most anticipated guest at this year’s festival was Faye Dunaway. 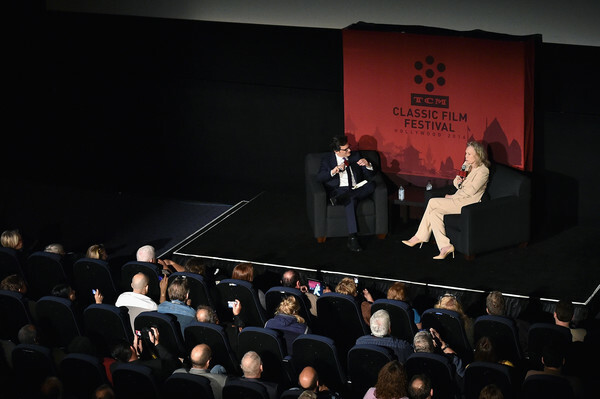 On the closing Sunday, Ben Mankiewicz interviewed her at length at the Montalban Theatre. 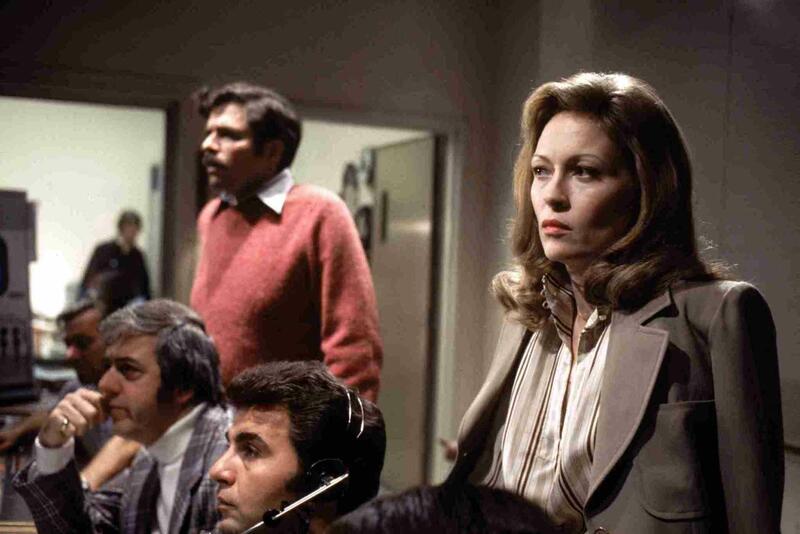 Later that day, she introduced Network (1976) in front of another capacity house at Hollywood’s Egyptian. 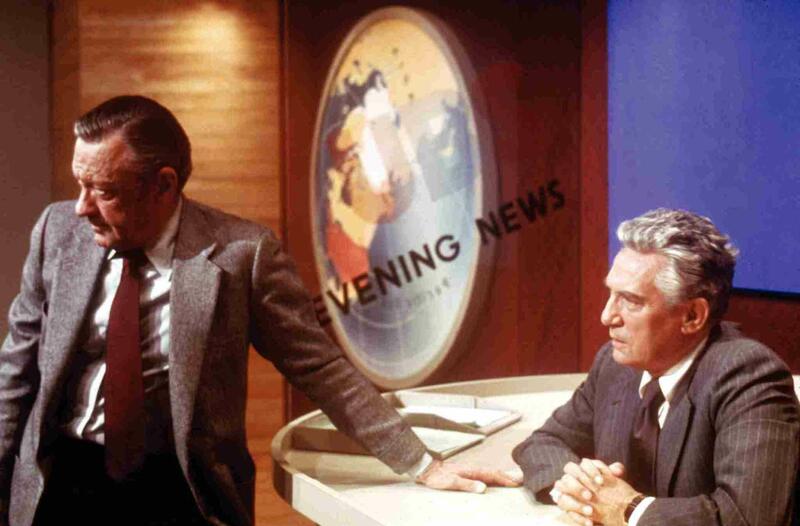 Network is a movie I’ve known by reputation, mainly for the “I’m mad as hell” line delivered by Peter Finch. I had never seen it all the way through, so what better time than at this momentous occasion? Howard Beale (Finch) is a network news anchor in the traditional Walter Cronkite mold. His style hasn’t kept pace with times and his alcohol problem is starting to show. He gets his notice from his ratings obsessed bosses. Worst of all, a man he considered an ally, Max Schumacher (William Holden), is the one who delivers the bad news. At dinner, they joke about committing suicide live on television. At the time, it’s only a joke. On what’s scheduled as his last broadcast, he mentions his “suicide on camera” plan. Management ushers him from the building and they vow to never let him back on the air. The movie has been described as “outrageous satire” (Leonard Maltin) and “messianic farce” (Pauline Kael), and it is both, and more. What is fascinating about Paddy Chayefsky’s Oscar-winning screenplay is how smoothly it shifts its gears. The scenes involving Beale and the revolutionary “liberation army” are cheerfully over the top. The scenes involving Diana and Max are quiet, tense, convincing drama. The action at the network executive level aims for behind-the-scenes realism; we may doubt that a Howard Beale could get on the air, but we have no doubt the idea would be discussed as the movie suggests. And then Chayefsky and the director, Sidney Lumet, edge the backstage network material over into satire, too–but subtly, so that in the final late-night meeting where the executives decide what to do about Howard Beale, we have entered the madhouse without noticing. The movie caused a sensation in 1976. 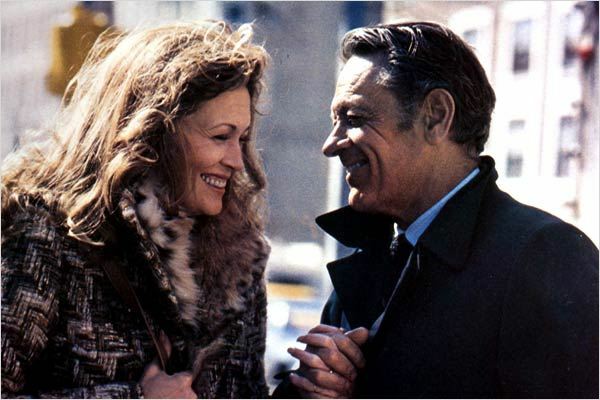 It was nominated for 10 Oscars, won four (Finch, Dunaway, supporting actress Beatrice Straight, Chayefsky), and stirred up much debate about the decaying values of television. Seen a quarter-century later, it is like prophecy. When Chayefsky created Howard Beale, could he have imagined Jerry Springer, Howard Stern and the World Wrestling Federation?